OVER THE PAST few decades, the number of independent cinemas in Ireland has dwindled. Cast your eye across the Irish cinema landscape and you’ll see it dominated by chains like Omniplex, IMC, Odeon and Cineworld. It’s a far cry from the days in which Dublin had 56 cinemas in operation. In fact, with the closure of Screen Cinema and the imminent shuttering of Savoy Cinema’s iconic Screen One, it can feel as though Ireland’s cinematic glory days are behind us. However, there are still a number of small and boutique cinemas operating around Ireland and doing their utmost to compete with their blockbuster rivals. Take the likes of the IFI and the Light House in Dublin, or the family-run Classic Movieplex in Listowel and Phoenix Cinema in Dingle. Phoenix Cinema is one of just a handful of family-run cinemas left in Ireland. It’s a single-screen theatre that sits 150 patrons and enjoys the distinction of being the only cinema on the Dingle Peninsula. It opened in 1980 and continues to be run by the O’Sullivan family. At any given time, the cinema is usually showing only one film – as of writing, they were showing The Last Jedi – and they also run an Art Film night every Tuesday night with tea and biscuits. Francis O’Sullivan admits it’s difficult to run a small cinema, but says it has received great support from the community over the last few decades. He believes that the likes of Phoenix Cinema can offer a “more personal and intimate experience” than the chain multiplexes and that it also enables them to programme more eclectic fare. “While we will never be all things to all people, we try to be as many things to as many people as possible, so we try to show a mixture of mainstream Hollywood fare as well as the maximum amount of arthouse films that we can schedule over the year,” he says. Phoenix Cinema harks back to a time when cinemas around Ireland were small and intimate. A time when cinemas were called things like The Coliseum, The Regal or The Adelphi. Among these cinemas was Stella in Rathmines, The cinema first opened in 1923 before closing in the 2000s. It lay empty for a decade before it was acquired by Press Up Entertaiment earlier this year. The newly refurbished single-screen cinema has been open since October and it’s a far cry from your typical cinema. Think cocktails, side lamps, red couches, ottomans and blankets. In other words, they weren’t too concerned about opening right across the road from another cinema. “We feel our offering will attract a national audience, not just people from Dublin or Rathmines,” they explain. At present, they show a mixture of new films, old films and forgotten classics. Their programme for January includes everything from Willy Wonka and the Chocolate Factory to Three Billboards Outside Ebbing, Missouri. It’s clear they are positioning themselves as an alternative to your typical ‘pub followed by a dance in Flannery’s’ night out. And it seems as though the people behind The Stella are planning on staying in the cinema game. The group plans to open The Devlin, a boutique hotel in Ranelagh in 2018. 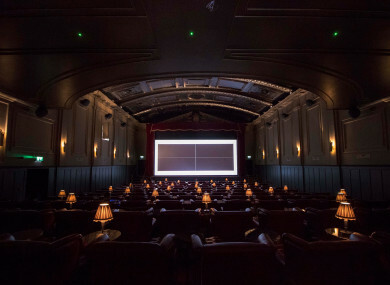 As part of the offering, the hotel will feature a 50-seater cinema in the basement, billed as a sister cinema to the Stella. “We’ll be screening indie films and brilliant classics all week long,” they say. Sit back and enjoy the show, so. Email “'We're more intimate': How small Irish cinemas are fighting back against blockbuster screens”. Feedback on “'We're more intimate': How small Irish cinemas are fighting back against blockbuster screens”.